Corporation. Member of Latinex Holdings, Inc., listed on Bolsa de Valores de Panamá. In 1989, when Panama was undergoing the worst political and economic crisis in the Republic’s history, a group of businessmen endeavored to crystallize one of the most cherished projects of the local financial community, namely the foundation of a stock exchange. The aim of this private-sector initiative was to operate a centralized trading system where the forces of supply and demand would freely converge, under the principles of market transparency and fairness. 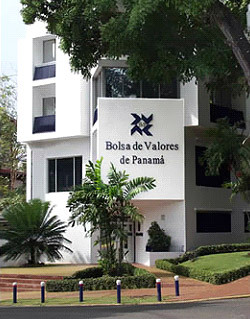 For such purpose, Bolsa de Valores de Panamá, S.A. (BVP) was established. On June 26, 1990, BVP became operative and held its first trading session, which marked the beginning of a new stage in the securities market development in Panama. Throughout the 1990s, BVP gradually consolidated its participation in the competitive financial intermediation market; more participants joined the market as brokerage firms, issuers and investors; new support institutions emerged and there was a continuous increase in trading volume year after year. This progress was the outcome of both a positive environment, characterized by the return to political stability enhanced with deep economic reforms, and equal tax treatment for different financial instruments. This allowed removing the taxation bias that had prevailed until 1991, which was then acting against the securities market. Contemporaneously with such quantitative evolution, BVP promoted several measures geared to modernizing the local securities market, among which one should note the creation of a central securities depository and settlement agency, which was the origin of Central Latinoamericana de Valores, S.A. (LATINCLEAR), a company that became operative in 1997 and today provides trade clearing and settlement services through electronic systems; thus allowing to eliminate trade risk, as well as clearing and settlement inefficiencies, since these functions were performed manually before. 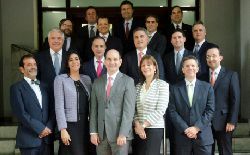 On October 22, 2009, the shareholders of Bolsa de Valores de Panamá S.A., assembled at an Extraordinary General Meeting, as well as the shareholders of Central Latinoamericana de Valores S.A., approved a corporate reorganization of the Exchange in order to form a new company holding the shares of both firms, referred to as Latinex Holdings, Inc. In February 2011, the securities regulator Comisión Nacional de Valores authorized registration of the new shares of common stock and, therefore, these instruments were listed on the stock exchange for the first time. 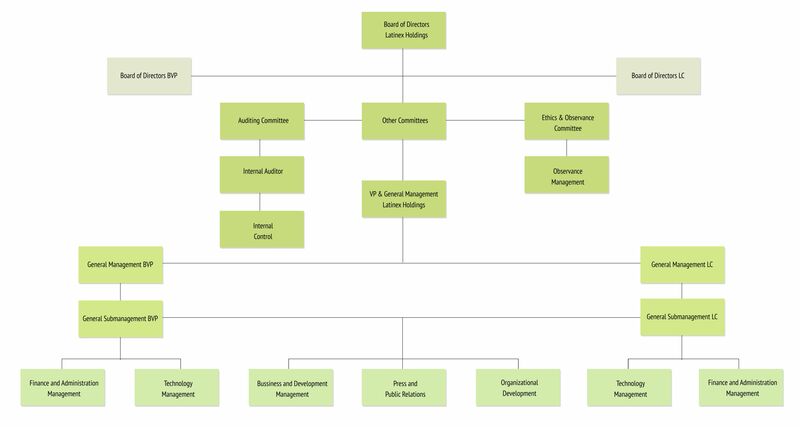 The liquidation model used by Latin Clear today complies with the main recommendations of the Bank for International Settlements (BIS) and others established by the International Securities Services Association (ISSA), among them, to safeguard participants from financial risks, eliminating Operational risk, reducing cost, unifying security standards and creating efficient links in the market. Latin clear uses BIS settlement model 2, of delivery against payment, which corresponds to cash netting and transaction per transaction in terms of values. The clearing and settlement period is made in T + 2. In T + 1 Latin Clear freeze titles and at the beginning of T + 2 the process is completed, through the Panama National Bank’s Clearing House. Each participant has a settlement bank that authorizes Latin Clear, through a contract, to debit them daily through this chamber to carry out its operations. Every day the Panama Stock Exchange (BVP) sends the information of the transactions and update of prices to Latin Clear through an electronic batch. The confirmation of the transactions is given in T and the BVP is responsible for making the confirmations of the stock exchange operations. The confirmations of over-the-counter transactions are made by Latin Clear in T. Latin Clear is also responsible for the deposit of securities. Bolsa de Guayaquil – 2011 – Mutual Cooperation Agreement. Bolsa Nacional de Valores de Costa Rica y Bolsa de Valores de El Salvador – 2007 - Memorandum of Understanding. Bolsa de Nicaragua – 2007 – Memorandum of Understanding.